Nowadays, most people possess computer or laptop which has become one of the most useful tools for file storage. However, data stored on hard drive is not as safe as we think. It is well known that computer virus is invented to destroy computer data. And data loss can occur at any time for various reasons, some of which are listed here. -Files can get lost due to accidental deletion of file. -Intentional or unintentional formatting of hard drive or partition. -Virus or malware cause damage to files partially or completely. -Hard drive gets bad sectors due to quality problem or improper use, for example, sudden power failure, violently strike, etc. 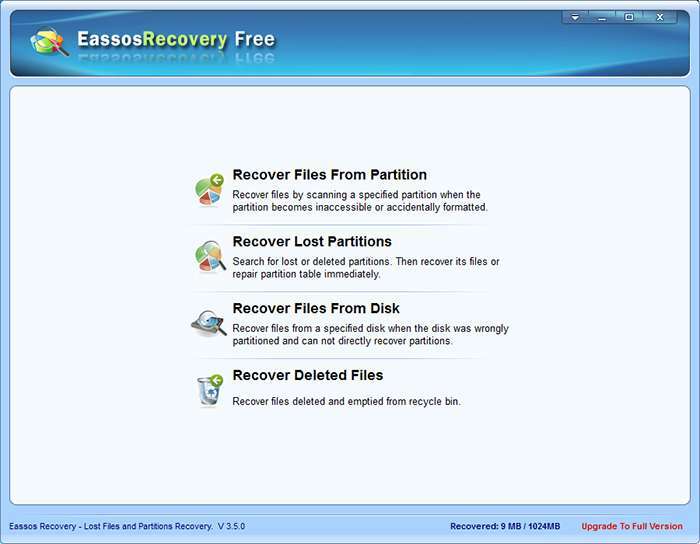 To let you know, there is free hard drive recovery software like Eassos Recovery Free on the Internet that can help you restore lost data from hard drives. 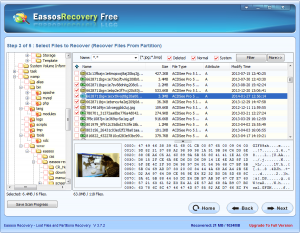 If you are not willing to send hard drive which holds sensitive or personal data, you can try retrieving files on your own with free hard drive recovery software. 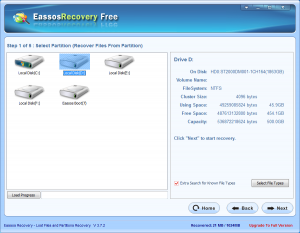 How to use the free hard drive recovery software? 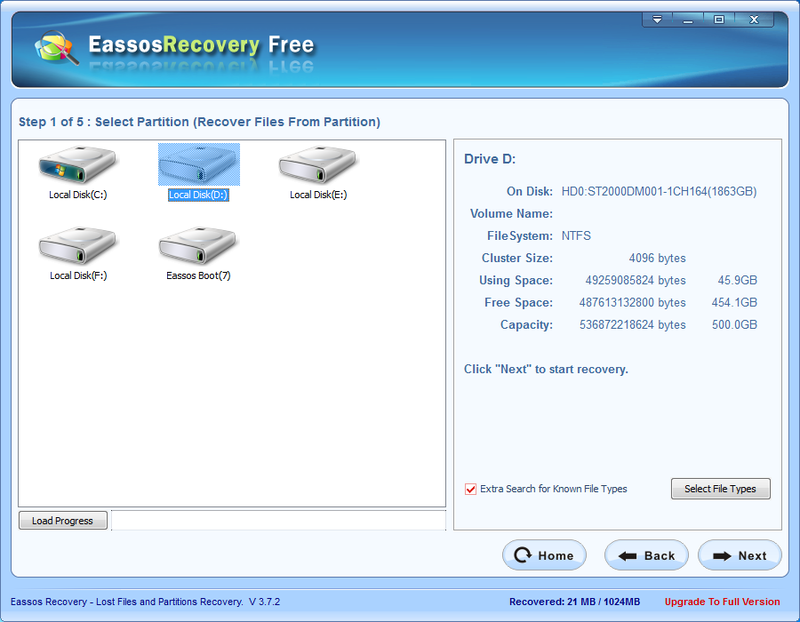 Step 1: Launch Eassos Recovery Free and select recovery mode according to data loss situation. Step 2: Select the partition where lost files were stored and click “Next” button, and the program will start scanning and searching for lost data. Step 3: After the scanning process is completed, you can preview all listed file one by one. Pictures, documents, audio file, videos are supported to preview. You can choose files you want to recover by checking boxes placed before files, then click “Next” button to get them recovered. 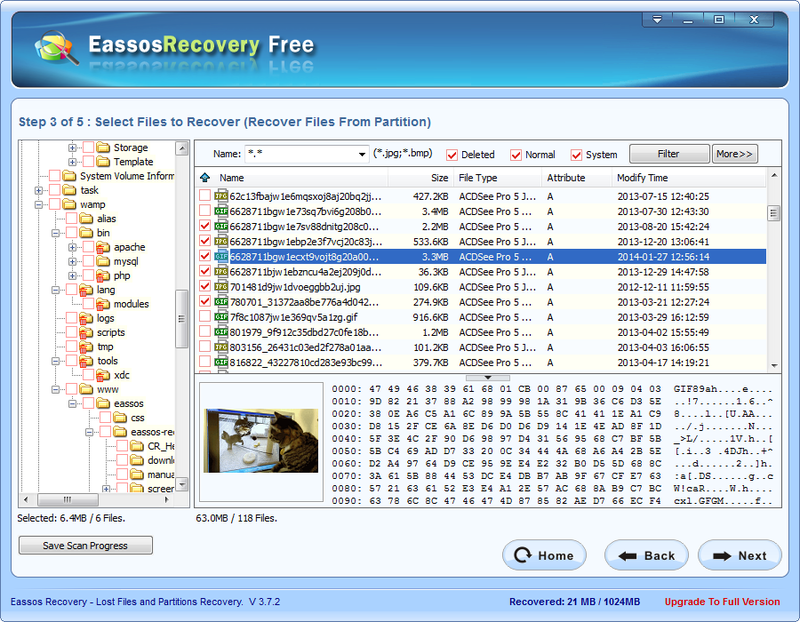 This entry was posted in Data Recovery and tagged free hard drive recovery software by EASSOS. Bookmark the permalink.